Joey Feek has been asleep for days, her husband Rory wrote on his blog, This Life I Live, on Monday. The country star began receiving hospice care in November. 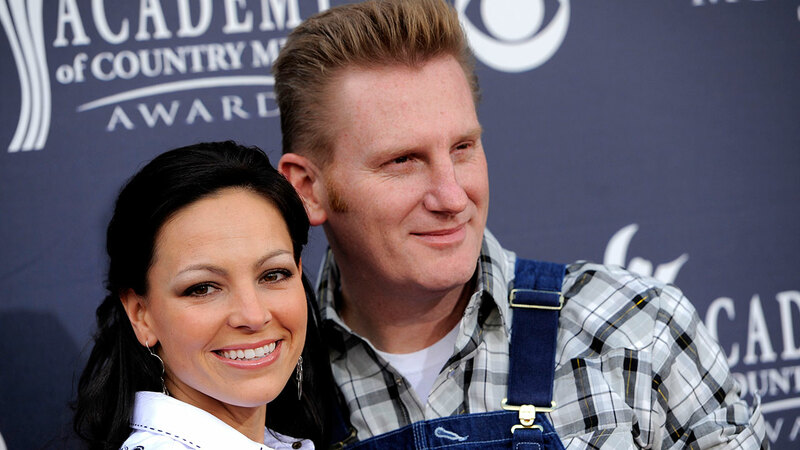 The musician, who's part of the duo Joey + Rory, has been battling cervical cancer. Joey and husband Rory have a 2-year-old daughter, Indiana. According to Rory's latest post, "her body is shutting down quickly" and "the hospice nurse came again this morning and said Joey will most likely only be with us a few more days ... at the most." "Over the last number of weeks her pain had gotten worse and her health had continued to decline rapidly. And not long after Indy's birthday (earlier this month) my wife decided that 'enough is enough.' She was ready to stop fighting and she told me so," he wrote. "She said the flowers would soon be blooming back in Tennessee. It's time to go home." "I set our little Indy on Joey's lap and we all cried with my wife as she told her how much her mama loved her and, '...you be a big girl for your papa ... and that mama will be watching over you,'" he wrote. "And then she pulled Indiana up and she kissed her. One last kiss." A blog post written by Rory Feek, said Joey was admitted to a hospital in Muncie, Indiana, in November and doctors said her cancer tumors were growing and became inflamed, causing enormous amounts of pain. She was on morphine. Joey Feek has lived "a very full life," her husband wrote. "God only gives each of us a certain amount of time to be on this earth and every day when we wake up, we get to decide how we are going to spend those precious minutes and hours. There are no do-overs, no second-chances, no next-time-around's to get it right. Joey knew this and she has made each and every day count," he wrote. He added: "One of the last things Joey said before she drifted into the deep sleep she's been in for a few days now is, 'I have no regrets ... I can honestly say, that I have done everything I wanted to do and lived the life I always wanted to live.'" According to a June 2015 blog post by Rory, Joey was diagnosed with cancer in 2014 and had surgery to remove the tumor. However, cancer cells from the original diagnosis spread to another organ, and in June, doctors discovered a 9 cm tumor in her colon. Rory wrote in the fall that they'd set up a bed at home for Joey so that there's a play area nearby for Indiana. He said both he and his wife are "at peace with where she is and where she's going." Rory wrote that Joey read into recordable books so Indiana will know her mother's voice.